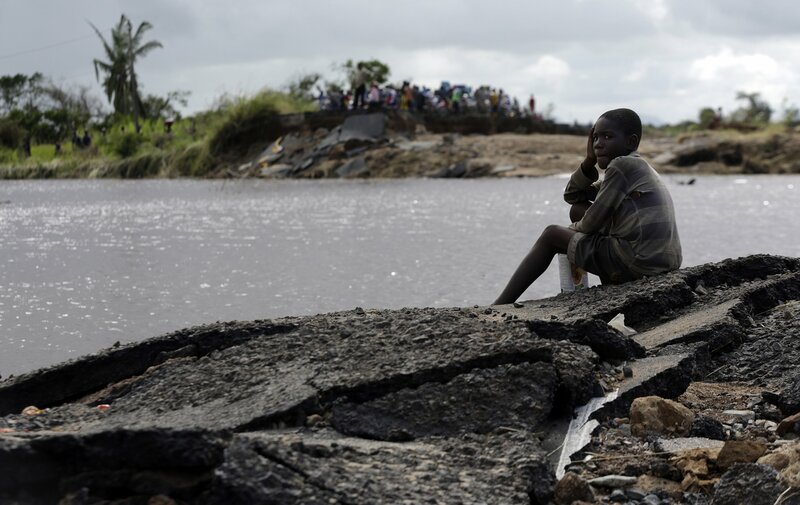 A young boy sits on the edge of a collapsed bridge in Nhamatanda, about 100km west of Beira, Mozambique, March 21, 2019. 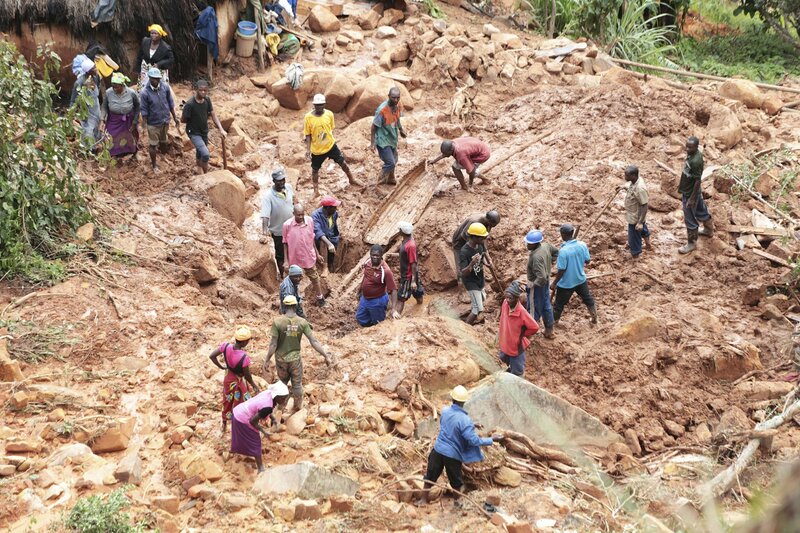 Cyclone Idai has affected millions of people in Southern Africa and the relief effort will go on for months and years. The United Nations’ Global Goals call on countries to work together to prevent and mitigate the damage from natural disasters. You can join us in taking action on this issue here. Women digging through the mud remnants of their ruined homes for clothes. Families eating wet maize recovered from devastated farmland. Children separated from their families in displaced persons camps where waterborne diseases are on the rise. And a massive inland ocean that still covers a large swath of Mozambique. 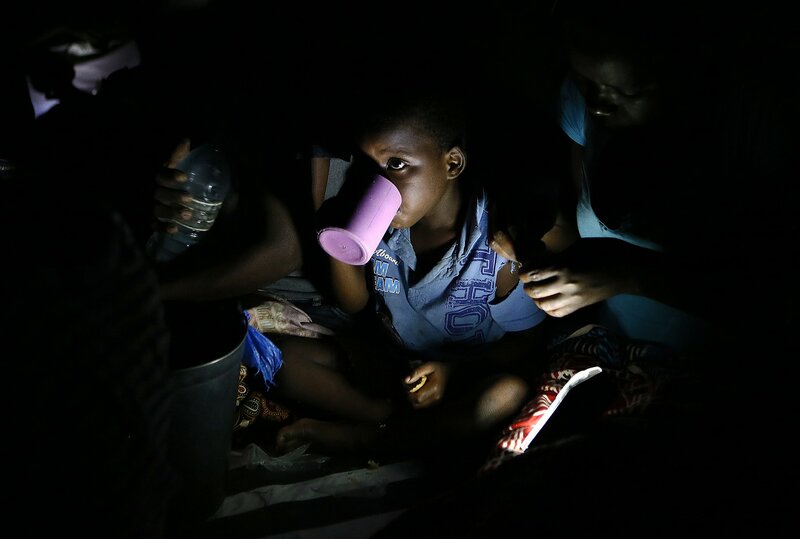 These are some of the scenes of the aftermath of Cyclone Idai that Sacha Myers, communications specialist for Save the Children’s emergency health unit, described to Global Citizen. On March 14, Cyclone Idai hit three countries in Southern Africa — Mozambique, Zimbabwe, and Malawi. The storm’s rainfall and wind were so overwhelming that whole villages were destroyed and infrastructure was greatly damaged in the region, making it difficult for humanitarian workers to reach those impacted. A young boy walks past a house submerged in water caused by Cyclone Idai in Inchope, Mozambique, Monday March 25, 2019. “The impact of the cyclone was a lot bigger than anyone was anticipating,” Myers said. “The situation is still really critical, especially for children, because they’re the most vulnerable in this type of situation. More than 700 people have been reported killed by the storm, and the death toll could continue to rise as the floodwaters recede in the days and weeks ahead. In Mozambique alone, more than 1.85 million people have been impacted, according to Myers. Many more people could die from waterborne illnesses that are beginning to spread in affected communities. “Our primary concern now is to ensure that communities get access to water to safeguard their families’ health,” said Mildred Makore, director of programs at Mercy Corps. Mercy Corps and other organizations are working to prevent the spread of cholera, typhoid, and other diseases. Clean water, hygiene kits, and more are being handed out to affected communities. 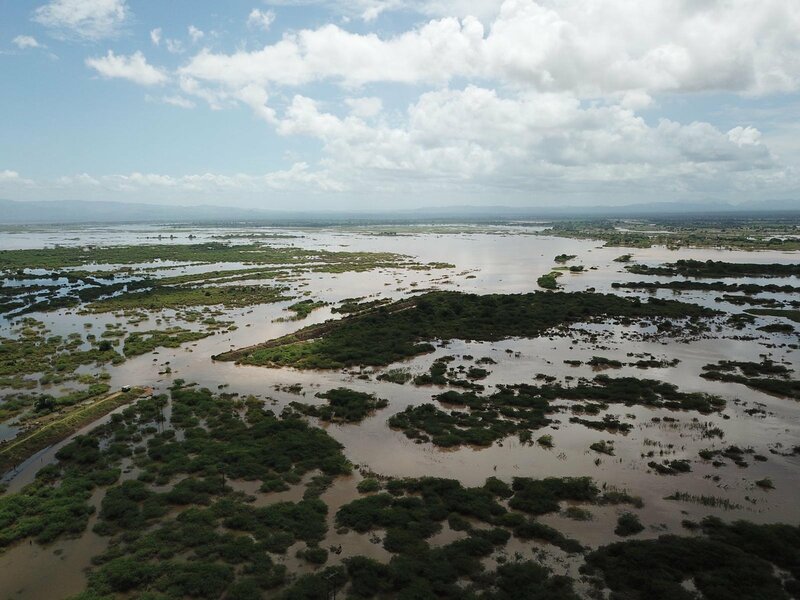 This photo issued Tuesday March 19, 2019, supplied by World Food Programme, flood waters are pictured covering large tracts of land in Nicoadala, Zambezia Province of Mozambique. Many of the temporary accommodation sites where displaced people are staying lack functional water and sanitation infrastructure, Myers of Save the Children said. Food insecurity is another major problem in the region. Cyclone Idai destroyed many farms and a drought that preceded the storm meant that harvests this year were already low. Myers echoed these points and added that the underlying poverty in the region allowed the storm to have an especially devastating impact. A family dig for their son who got buried in the mud when Cyclone Idai struck in Chimanimani about 600 kilometers south east of Harare, Zimbabwe, Tuesday, March, 19, 2019. 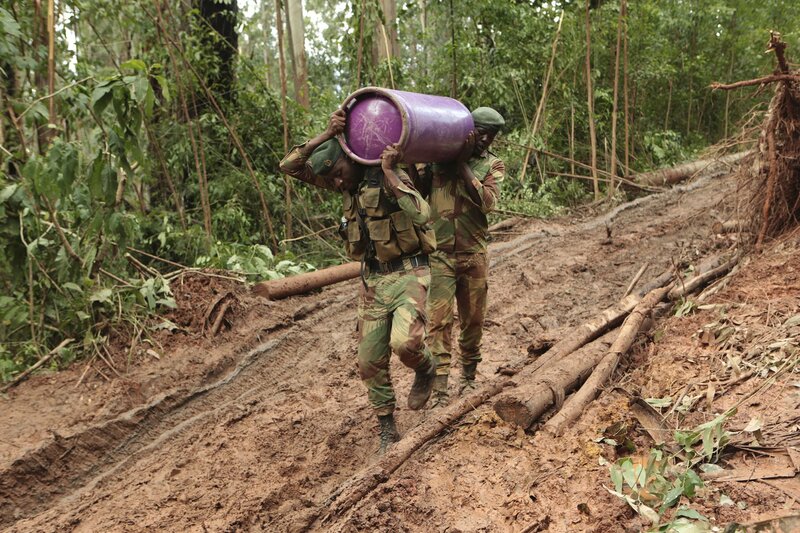 Soldiers carry supplies to areas affected by Cyclone Idai in Chimanimani, about 600 kilometers southeast of Harare, Zimbabwe, March 18, 2019. Save the Children and Mercy Corps are just two of several nonprofits that are working to help communities recover and rebuild in the aftermath of Cyclone Idai. They’re working to provide temporary shelters, food supplies, emergency health care, psychosocial support, and more. Myers said that ensuring the safety of children is a top priority. More than 2,800 schools were destroyed, and scores of children have been separated from their caregivers. “We do have really grave concerns for children who have been separated because when they don’t have their caregiver, they’re exposed to potential exploitation,” she said. Because bridges were destroyed and dirt roads were washed away by the storm, humanitarian groups have yet to reach certain communities. But even when the rescue effort winds down, the challenges will continue for months and years down the line as aid organizations shift their attention to longer-term priorities. Displaced children, victims of Cyclone Idai, eat lunch at the Samora Machel Secondary School which is being used to house victims of the floods in Beira, Mozambique, Sunday March 24, 2019. A man walks with wood collected on the beach to prepare his house in the Praia Move area in Beira, Mozambique on March 24, 2019. People use nets to fish in a flooded area hit by the Cyclone Idai near Tica, Mozambique, on March 24, 2019. 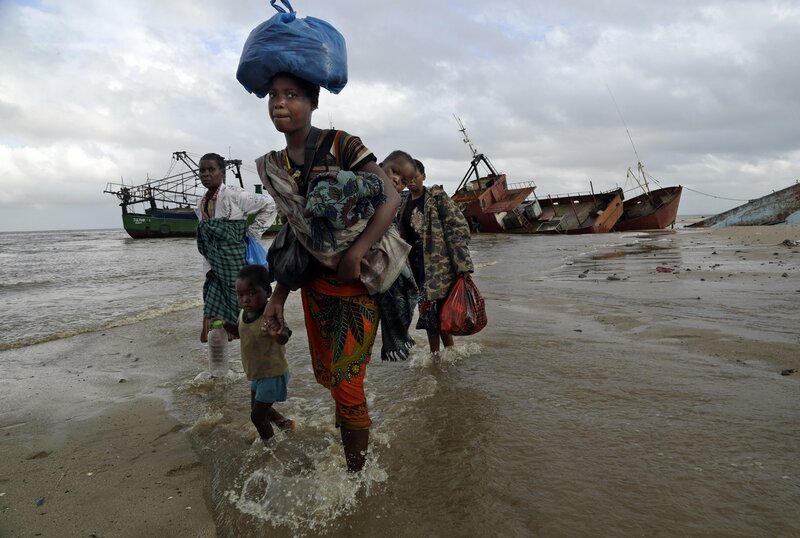 Rosita Moises Zacarias (L), 15, holding the hand of her sister Joaninha Manuel, 9, walks in flooded waters from their house destroyed by the cyclone Idai, to go to seep in a shelter in Buzi, Mozambique, on March 22, 2019. Fernando Joao Sengelani helps to clean his friend's shop in Buzi, Mozambique, on March 23, 2019, after the area was hit by the Cyclone Idai. Joaquin Joao Chidja, 16, dries his family photos on a roof of a commercial building where he took shelter in Buzi, Mozambique, on March 23, 2019, after the area was hit by the Cyclone Idai. Enia Joaquin Luis, 11, wakes up beside her sister Luisa, 6, under plastic sheets for protect themselves from rain as they stay in shelter at the stands of Ring ground in Buzi, Mozambique, on March 23, 2019. 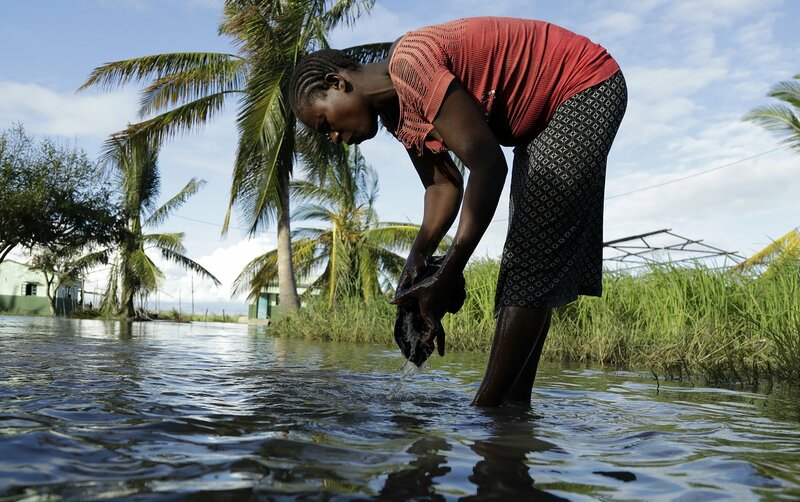 A woman washes her clothes in a flooded residential area in Nhamatanda, about 100km west of Beira, March 21, 2019. 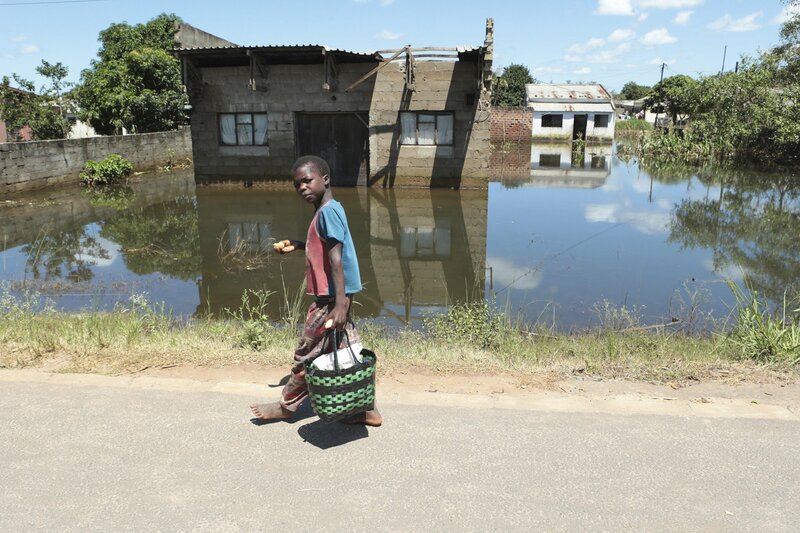 A week after Cyclone Idai lashed southern Africa, flooding still raged as torrential rains caused a dam to overflow in Zimbabwe. A military helicopter delivers food aid for the survivors of the Cyclone Idai in Chimanimani on March 20, 2019. Residents gather stranded on the stands of a stadium in a flooded area of Buzi, central Mozambique, on March 20, 2019, after the passage of cyclone Idai.